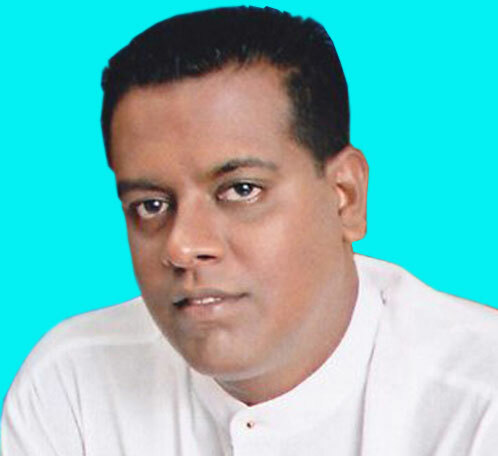 An investigation has been launched into allegations that UPFA Puttalam District MP Sanath Nishantha had verbally abused and lashed out at several police officers including an Inspector who were on duty at the Deduru Oya checkpoint in Chilaw. At around 1.00pm yesterday the police officers on duty at the check point in the Deduru Oya area on the Chilaw-Puttalam main road had stopped an SUV while the driver had failed to produce the revenue license and insurance certificate his driver’s license was impounded. The driver had then informed the officers that the vehicle belonged to MP Sanath Nishantha and that he would leave the vehicle parked near the checkpoint to which the policemen had objected. A little while later the Parliamentarian in question had arrived at the checkpoint in a car and proceeded to verbally abuse the police officers on duty using strong words. The police officers stationed at the checkpoint had then left and reported to the Chilaw Police. The Inspector in charge of Chilaw Headquarters had recorded their statements while the Senior DIG in charge of Chilaw division has assigned another team of officers to duty at the checkpoint. Chilaw SSP Chandana Athukorala is leading an investigation into the incident. Attempts to contact Puttalam District MP Sanath Nishantha for comment were unsuccessful.